Thank you very much for taking your time to talk about your very rich music career. I would like to start at the begining and take our readers through the whole career. You first started as as violin player and soon picked up the bass and started playing in a schoolband. You were called The Tradewinds. How do you remember those early years, Mo? One day, when I was nine, my primary school teacher, Miss Williams, brought a descant recorder into class, played it for a couple of minutes and asked if anyone would like to learn to play and form a recorder consort. I was mesmerised. I became fascinated with instruments that I saw in marching bands – such as the trumpet – which had music stands shaped like lyres fixet to them. A little later I was given a violin, a shiny instrument in a drab black case which had been handed down to me by my grandfather. By now I was eleven years old, the top recorder and violin player in the school. I would play violin concerts accompanied by my teacher, Miss Williams, on the piano. All groups had to have a name. 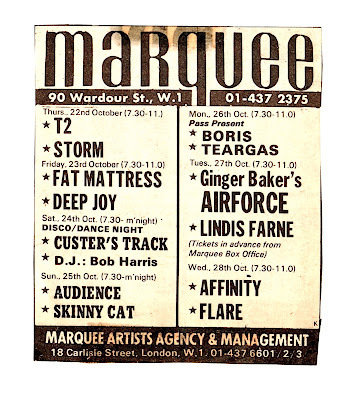 Through a friend we had secured a booking to play at a party in the large concrete shed we knew as Billbrook Playing Fields Pavilion, and with this gig in sight we became The Peasants, although no one can remember why. As our music matured and moved away from skiffle, a chance of name was deemed necessary, and so we became The Sandy Engleton Six, for the simple reason that one guy lived in Sandy Lane and tow others lived in Engleton Lane. The name was dreadful, but it soon metamophosed into something much more euphonious: The Tradewinds. Our act had now become a blend of mostly American pop songs and mostly English guitar instruments, but this didn’t prevent programme notes at vicerage fetes listening us as ‘The Tradewinds Trad Band’ or even ‘The Tradewinds Rhytmic Band’- We had noticed that Duane Eddy records from the USA sounded very different to records from UK artists, and Peter Watkins felt that it was important to transcribe strange Texan cowboy whooping sounds that we heard behind the sax solos on tracks such as ‘Forty Miles of Bad Road’ : Ben DeMotto even had a credit on Duane’s LP sllve for ‘rebel yells’. The gigs we played mostly took place at a set of small interconnecting villages in Staffordshire, the journeys to which involved driving along many narrow country roads to with no street lightning. • Peter Watkins had a knowledge of rock’n’roll, and he owned a home-made acoustic guitar. • Roger Swaab had a knowledge of folk songs, and he owned a shiny acoustic (cello) guitar. • Richard Hallchurch played piano, and had a knowledge of trad jazz and skiffle. He owned a banjo, and a guitar that he had built. • I had some knowledge of classical music, played violin and recorder, and – most importantly – my dad had borrowed a tape recorder. • Patrick Davies acquired a military bass-drum. We were all fans of The Goon Show. We were all learning, all teaching each other. Richard and I began building our own amplifiers and a tape-echo. Did you just one day said to yourself: “OK, I want to play bass”.? Somehow, somewhere, I’d heard the phrase ‘electric bass guitar’. It had a resonance: it sounded longer and more important that just a guitar, and I liked it. You studied physics and mathematics and were part of the US Jazz Trio and The Baskervilles as a student. What would you say was the scene in your town when you were a student? 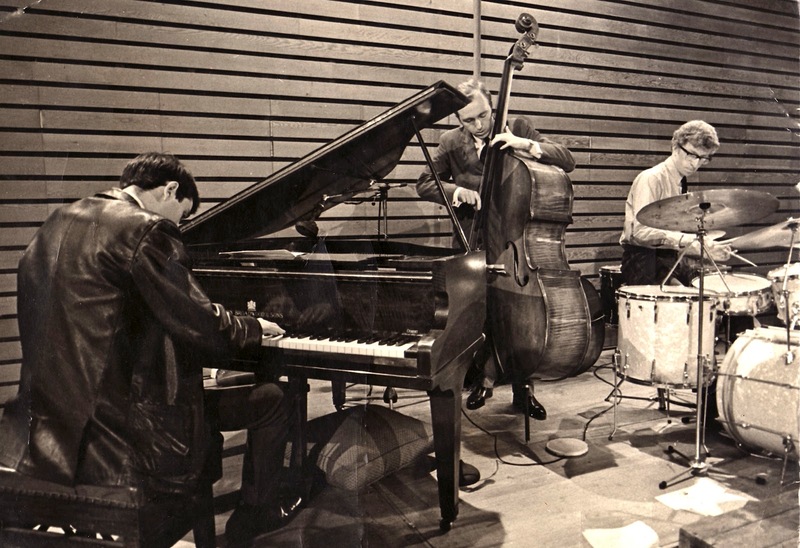 The University of Sussex Jazz Trio and The Baskervilles both played mostly on campus at dances, parties, and all-night balls (which were exhausting for me when I was in both bands). We also played at other universities such as Southampton and Norwich. We only played occasionally in Brighton itself. Affinity started to shape. How did you guys came together to form this band? You were classmates, right? Lynton Naiff and Grant Serpell had been trying to make it in London with a new band called Ice, and had had a radio hit with a song called »Ice Man«. In November 1967 aI received an urgent telegram requestiong me to dep for John Carter on a broadcast for Ice at the BBC Piccadilly Studios. By early 1968 Ice had disbanded but, still keen to pursue a career in music, Lynton and Grant invited me to revert to bass guitar permanently in a proposed new jazz-influenced rock band. Who all was in lineup at the start? Initially Lynton Naiff and Grant Serpell, then me, followed by Mike Jopp and Linda Hoyle. How do you remember some of the early “basement” rehearsals? During the Summer of 1968 we lived and rehearsed in a bungalow on the edge of Brighton, with a view over the South Downs. Just out of view in the valley opposite the film Oh! What A Lovely War was being made. Sometimes our rehearsals were interrupted by very audible explosions. What kind of music influenced you? The Shadows, Duane Eddy, Buddy Holly, The Beatles, Oscar Peterson, Miles Davis, Gil Evans, Cream, Brian Auger, Billie Holiday, Bill Evans, Dave Brubeck, Cannonball Adderley, The Modern Jazz Quartet, Gary Burton, Aretha Franklin. 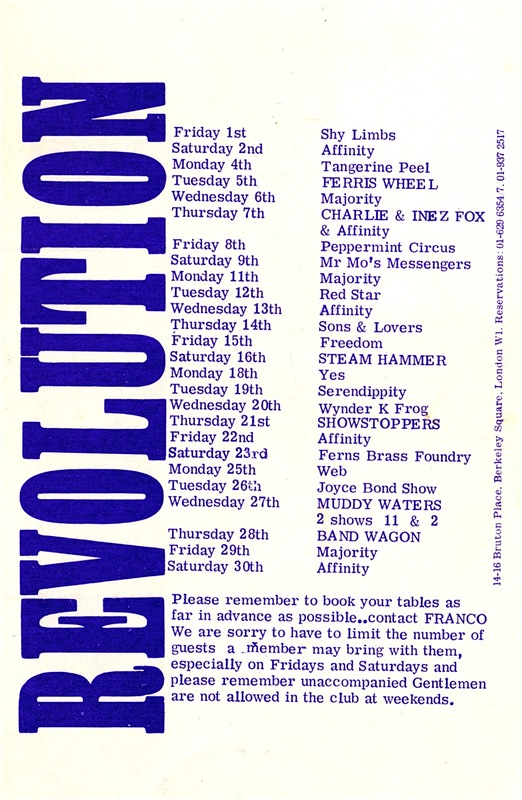 Your first show was in London at the Revolution Club in Bruton Place in London on 5 October 1968. Were you nervous? We were more exhausted than nervous. We’d travelled up from Brighton with all our gear in a Ford Transit (we couldn’t afford roadies). It was quite a challenge to play all of the music that we’d been practicing for months in front of a sophisticated London audience. I don’t even remember where I slept that night. In 1970 you went into the studio and recorded your legendary LP. You were signed by the Vertigo label. 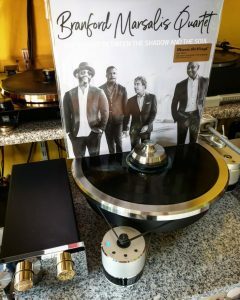 Where did you record this LP? Trident Studios in St Anne’s Court, Soho. It was the first studio in London to have an 8-track machine, and by the time we came to record it was 16-track. I recorded there many times in the 70s. 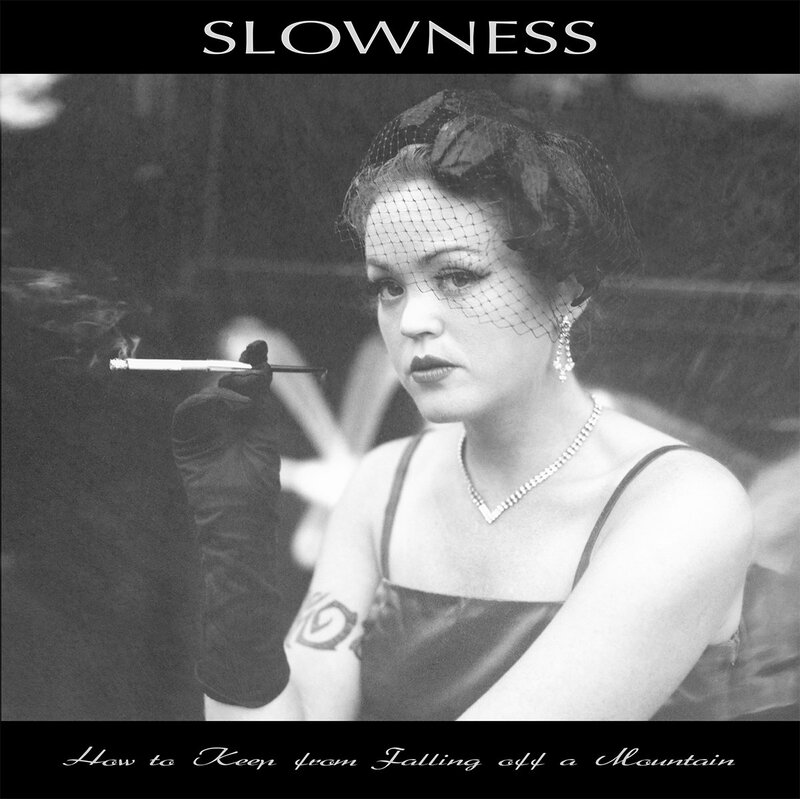 What are some of the strongest memories from producing and releasing this LP? It was hard to try to recreate our live act in the studio. When you are all playing together and someone makes a mistake you have to start the song again. What gear did you guys use in the studio? • Rogers silver sparkle kit with a Ludwig snare and Avedis Zildjian cymbals. Readers usually really enjoy reading comments about songs on the albums. So I want to ask you if you could comment each song a bit. The material was drawn from many sources. It was what we’d achieved by playing together constantly for a year. 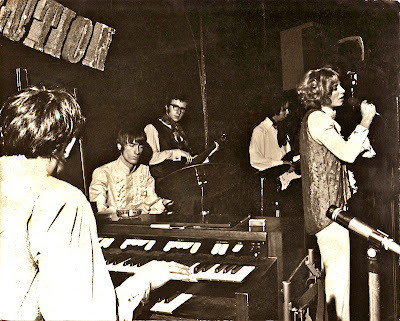 In the studio all tracks were performed live — including most of the solos — with some later overdubs. I was still playing with a pick. We heard this as a demo acetate (a brittle 45rpm) by Alan Hull who went on to join Lindisfarne. John Paul Jones wrote a fantastic horn chart. Ronnie Scott was in the sax section. 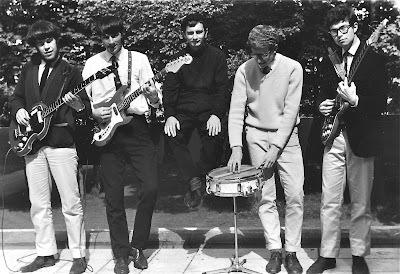 Part of the bass-line was influenced by Herbie Flowers. Written by Mike and Linda. It was a set of different ideas that joined up. Lynton played a powerful solo on Hammond. We sounded like Santana before they did. Producer John Anthony wanted us to record this song. We hated it. It seemed pointless. I still can’t listen to it. We heard a version of this song on an LP by Norwegian jazz singer Karin Krog. Linda’s voice was perfect. I played double-bass and Lynton overdubbed vibraphone. Written by Lynton and Linda. A great live track. A good feature for Mike Jopp. 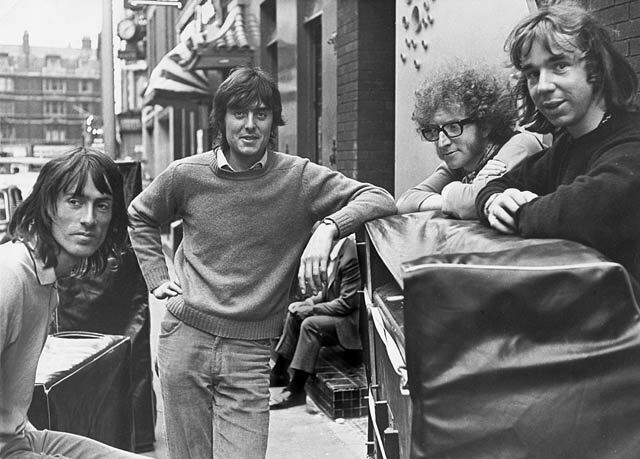 We loved this track by The Lovin’ Spoonful, and kept it small with just Hammond and acoustic guitar. 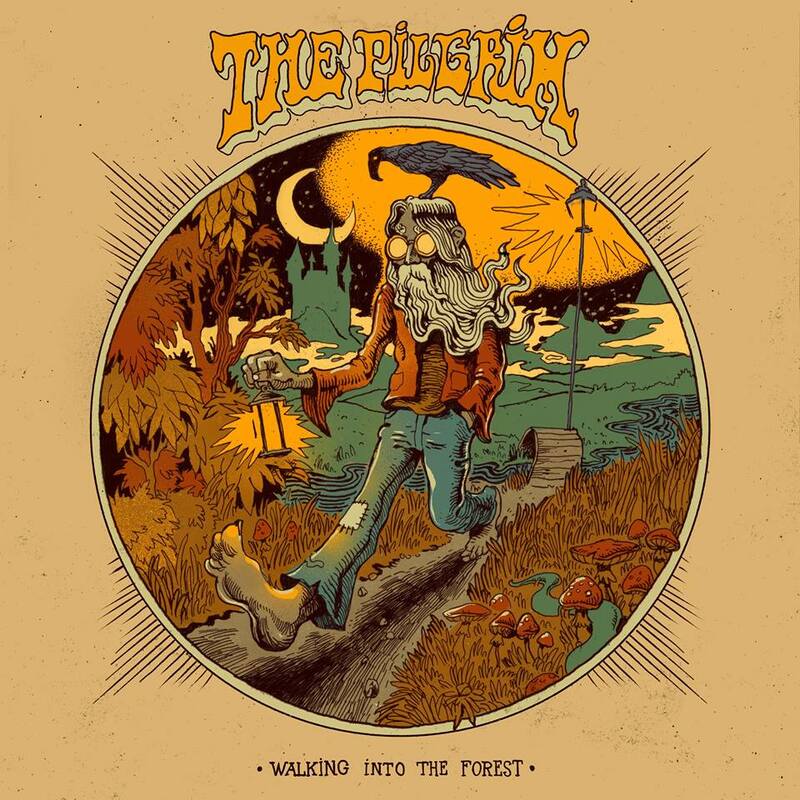 The flute was overdubbed by David Jackson of Van der Graaf Generator. This Bob Dylan song was arranged to be a feature for both Linda and Lynton. When we played the song live it could last half an hour. Our version pre-dates the (very different) version by Jimi Hendrix. 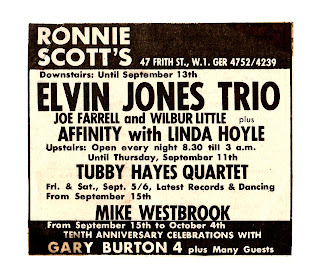 The famous Ronnie Scott was your manager. How did this happen? That must have brought a lot of attention from the jazz world? Through a friend we secured a broadcast on BBC radio’s Jazz Club, and we travelled up to London to record our part for the programme at BBC Maide Vale studios on 28 August 1968. Humphrey Lyttleton was the presenter. When it was lateter transmitted I was able to make a tape recording from my B & O FM radio. 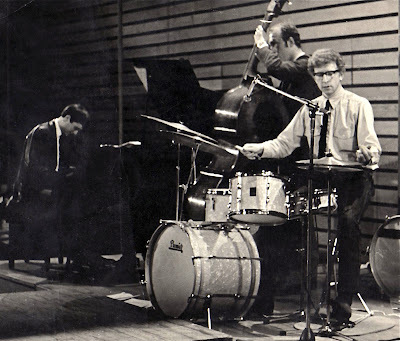 At the end of the sixties an exciting new hybrid music form, jazz-rock, was evolving. Musicians such as Miles Davis, Brian Auger, Jimi Hendrix , and bands such as Blood, Sweat and Tears, Cream, Chicago, Lifetime, and Colosseum were all experimenting with the blending of jazz improvisation and the power of rock rhythms. 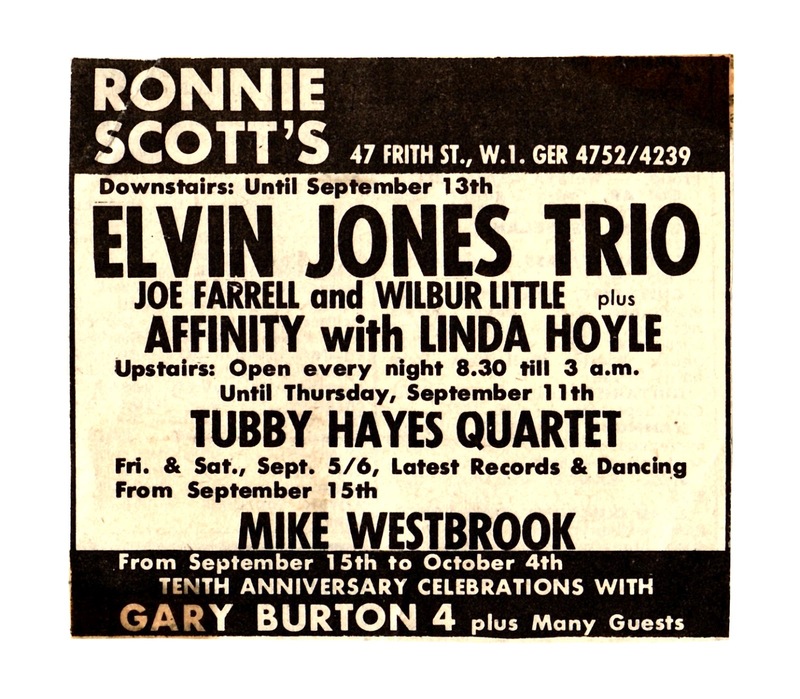 We had heard through the trade papers that Ronnie Scott was looking for a jazz-rock artists with a view to management. I took our tape to the club and gave it to Ronnie’s partner, Pete King, personally. He had a listen and offered us a try-out booking in the new ‘upstairs’ part of the club. As a result of hearing our tape – and seeing us play upstairs – Ronnie agreed to manage the band and book us into his club. 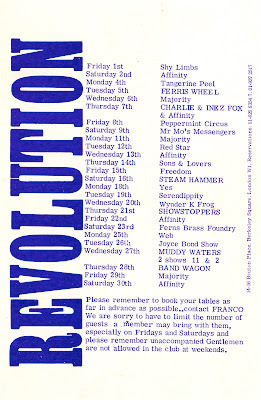 Affinity’s first ever London gig took place on 5 October 1968 at the Revolution Club in Bruton Place, just off Berkely Square. It was at Ronnie’s that I would receive another musical education: watching world-class players. You were really very into jazz. 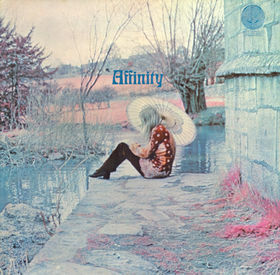 You also named the band after the famous Oscar Peterson’s 1961 LP Affinity. The improvisation, harmony, and swing of jazz generate very powerful emotions. We tried to blend this feel with our knowledge of rock music. At that same time Miles Davis was also experimenting. You toured the Europe. What are some favourite memories from playing live? We had a gig lined up in Le Touquet. But the awful truth became evident on our first night there: the gangsters who ran the place quietly explained to us that, unless we arrived an hour before the show started each night, sat around the club buying drinks, invited friends, and generally made the place look more full, they wouldn’t pay us. We had no choice. Even worse, at the end of the week they still didn’t pay us! Did you attend any festivals? 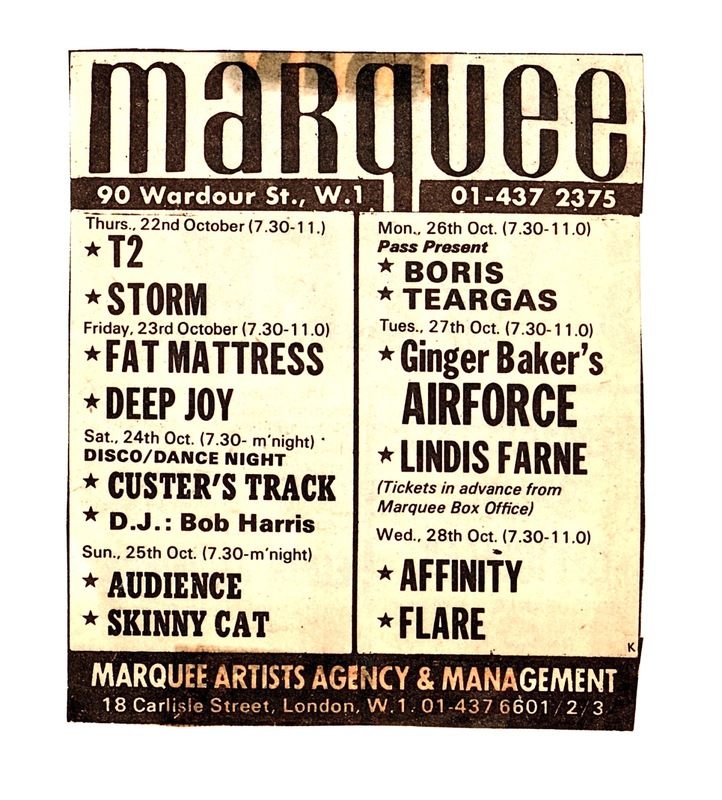 In those days there weren’t many large festivals of the kind we see now. Although we did play at Plumpton Racecourse alongside The Nice (Keith Emerson) and Soft Machine. We mostly toured Britain, Europe, and Scandinavia. 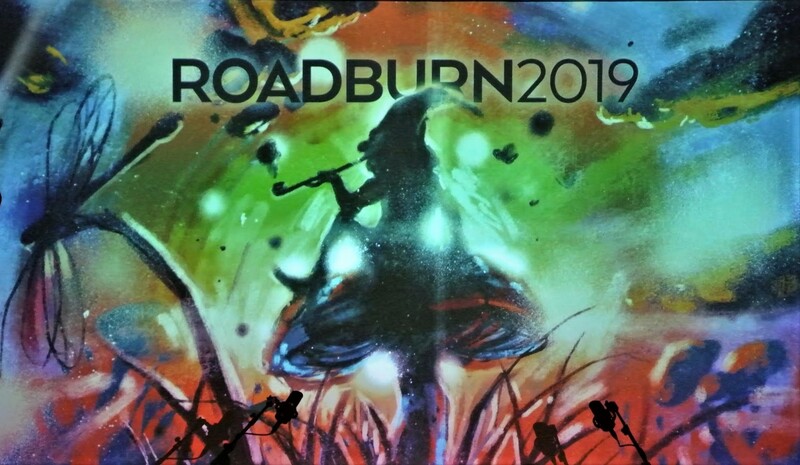 Who did the amazing cover artwork for your LP? We had seen some false colour photographs (it was a new idea then) and that was our only request. I’ve no idea where the cover photo was taken, and no idea who was the model sitting by the water. It’s not — as many people think — Linda. 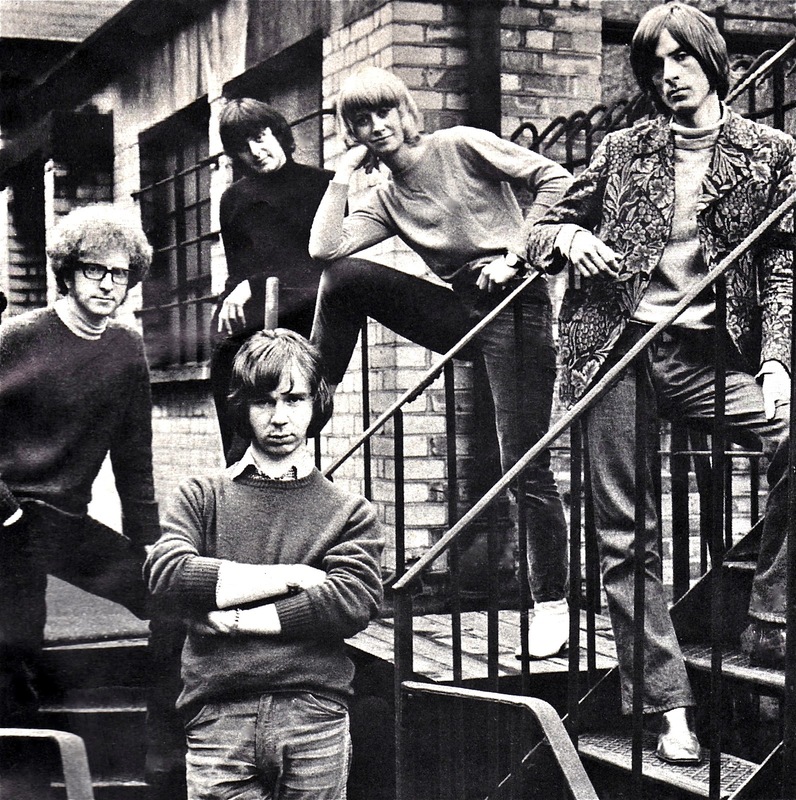 The original cover was designed and photographed by Keef. The type design was by Sandy Field. 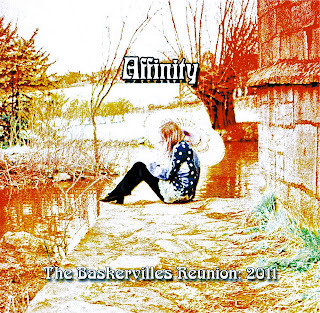 When we began to release subsequent Affinity albums (there are six in total now) it was my idea to keep the same image but have different colours each time. A bit like Warhol. What happened next? You started recording your second LP, but Linda decided to quit the band. While we were working in Paris, Lynton and I began writing — the song ‘Yes Man’ emerged from those sessions. But Linda had had enough and wanted to go solo. We kept the band going for a while with new singer Vivienne McAuliffe from Principal Edwards Magic Theatre. 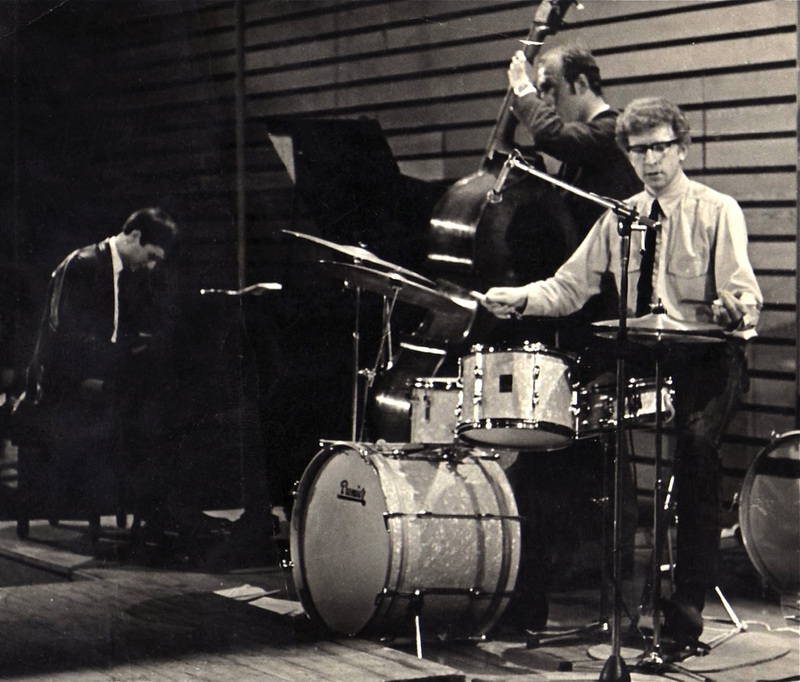 Later still we released a live album that had been recorded at Ronnie Scott’s Jazz Club in 1969, and an album of tracks by The Jazz Trio (1967) featuring Lynton on piano and me on drums! In the 70’s you were involved with many projects. Would you like to describe what occupied your life in the 70’s? A complete change. I met ex Manfred singer Michael d’Abo and through him discovered the London session scene. It was a revelation. I met some stunning studio players — Ray Cooper, Joe Moretti, Barry Morgan, Ray Fenwick, Frank Ricotti, Clem Cattini, Ray Russell and many more. We created some fine music. As well as playing hundreds of studio dates I occasionally went on the road with artists such as Mike d’Abo and Mike Smith, Van Morrison, Veronique Sanson, and Cliff Richard. It was also the time of residential studios. This took me to Air Montserrat, Caribou Colorado, The Manor Oxford, and Chipping Norton. It was a fun way to record an album. My bigger tours with Jeff Beck, Phil Collins, and Gil Evans came later in the 80s. There is a brand new Affinity release. Would you like to present it to our readers? 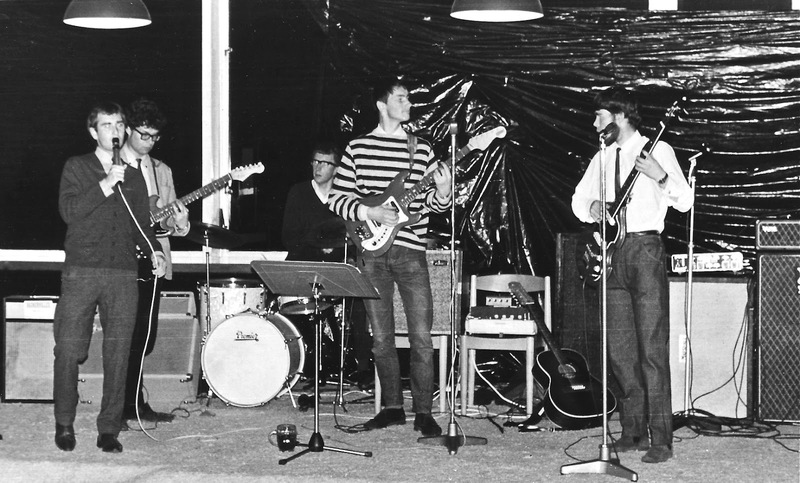 Last September the University of Sussex was 50 years old. It had been one of the ‘new universities’ in the 60s. 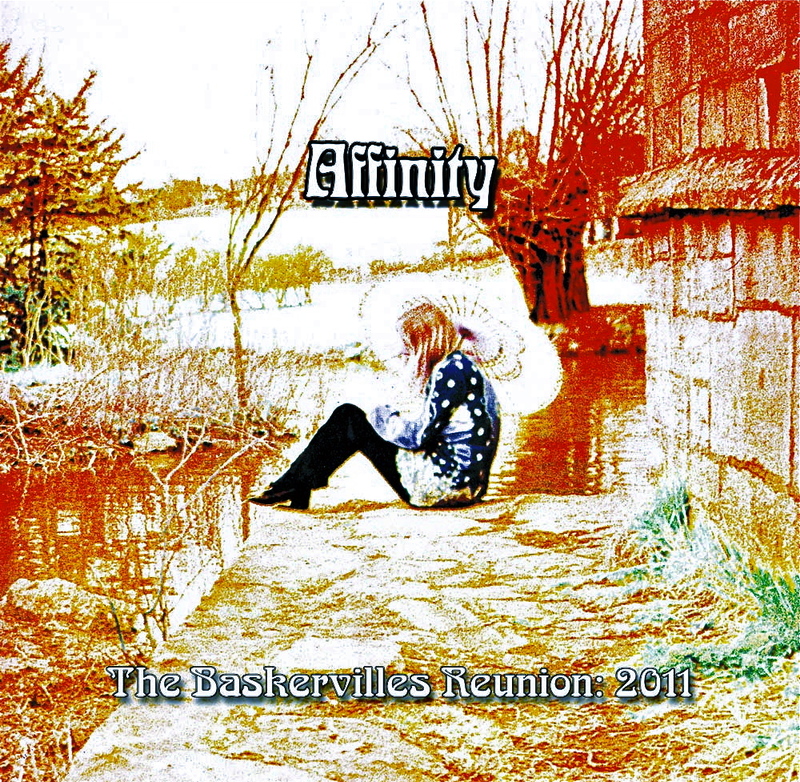 A week of events was set up and it was decided that my old band The Baskervilles, the precursor to Affinity, should get together one more time and perform at a dance. Fine, but we hadn’t played together for 46 years! The rhythm guitarist had just retired as CEO for Nationwide Building Society and one of the singers had just retired from lecturing in accountancy at Thames University. 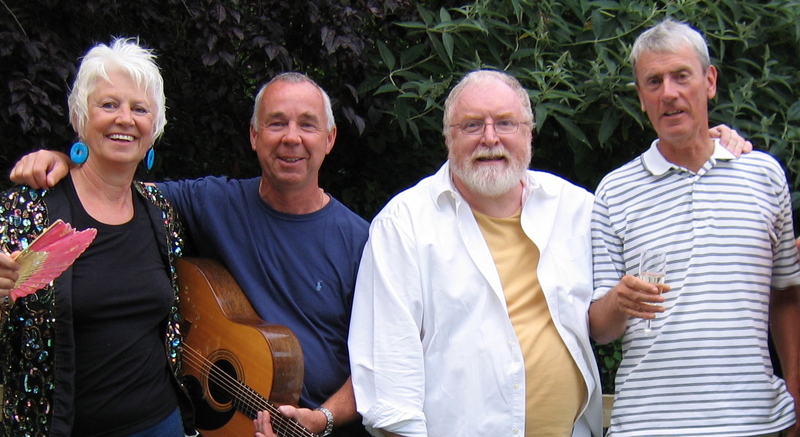 The original guitarist had died some years ago, but we persuaded Ray Russell join us. Rehearsals were fun but, as you can imagine, difficult! Linda Hoyle — singer of Affinity — flew direct from Toronto to sing with us, and Affinity’s Mike Jopp joined us for one song. And so an extended Baskervilles took to the stage on 10 September 2011 – definitely for the last time! We managed to play for an hour and it was a lovely nostalgic evening (silly announcement: ‘we’ve been asked to play something out of the charts. No problem — most of these songs have been out of the charts for over forty-five years’). You also have recently published books “17 Watts” and “British Rock Guitar”. What can we find in the books? Seventeen Watts (the title comes from the power of a Watkins Dominator amplifier — the first one my school band could afford) was the title of my first book, which was published in 1997. It’s now hard to find so I took out the best bits, and added many more stories, ideas, and photographs to produce in effect the definitive book. The cover features the beautiful red Fender Stratocaster that was imported by Cliff Richard for Hank Marvin in 1959 — it was the first ‘Strat’ in Britain. I have always loved stories: they are the centre of a musician’s life. Over my professional career I’ve collected more than a few, and although it has taken me a very long time I have finally gathered them all together into one book: British Rock Guitar. My book — which was published in September 2011 — is a meticulously researched history. It took twenty years to gather all of the information, and a further two years to collate and write it. Its strength is that it is an insider’s perspective — no journalist could have written it in such detail. It’s also very funny. The concept of the book was entirely my idea, and it developed simply from countless conversations with my musician friends. As far as I know, no one else has recorded this period — certainly not the early days or the session scene — in such intimate detail. We had a terrific launch party at Dingwalls, a nightclub in Camden. It was a wonderful evening, and I was thrilled by the number of old chums who turned up to support — Brian Bennett, Bruce Welch, Bill Wyman, Colin Green, Paul Jones, Ray Russell, Tom McGuinness, Chas McDevitt, Frank Allen, Rob Townsend, Alan Hawkshaw, Linda Hoyle, Andy Brentnall, Roger Swaab, and many more. I had to give a speech in front of that lot — it was both exhilarating and just short of terrifying. What are some future plans for you, Mo? I’ve started promoting the book by giving illustrated ‘talks’ — the first was in July for the Hungerford & District Community Arts Festival 2012. Good fun. I love telling stories. I’m getting my ‘chops’ back, and have started work on a new album with Ray Russell and Gary Husband (incredibly hard work). We’re doing some fun gigs at the Pizza Express, Dean Street, Soho, and the 606 club in Chelsea. And as a result of the amazing Affinity/Baskervilles concert last September I’ve started work with Linda Hoyle on her new solo album — her first for forty years! It’s going to be amazing — she’s singing so well now. Logistically it’s going to be a little difficult, simply because I live in London and she lives in Toronto. But we’ll manage. What else besides music do you like doing? Sleeping. Eating. Reading. Travelling. Seeing old friends. Science. Thank You Klemen, thank Zou Mo...Fantastic interview...Cheers! Great interview and nice blog. Congrats! Whatever happened to Lynton Naiff? Indeed was he the same person I recall attending Willesden School of Engineering back in 1957-61?